It was the rainy season and just before we started the afternoon safari towards the Kabini backwaters, it had started raining. Given the all round dampness I was wondering if we were going to draw a blank in terms of wildlife sightings. 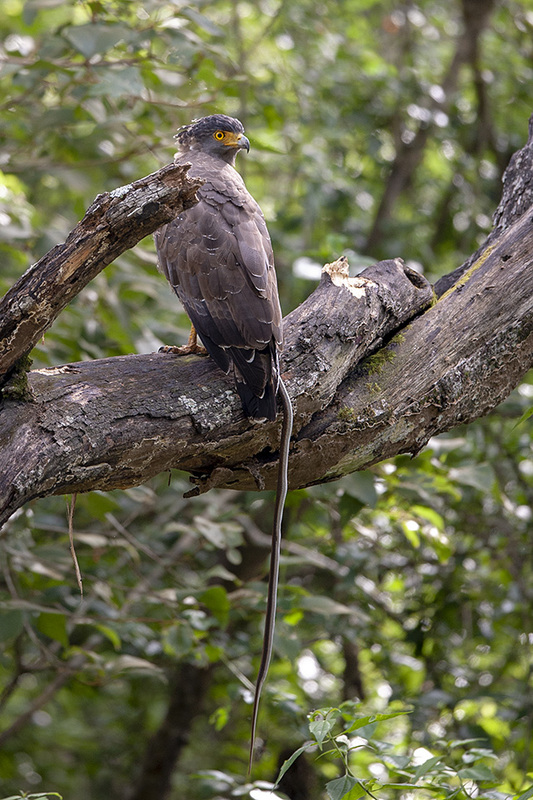 We drove deeper into the Nagarhole National Park with absolutely no sign of wildlife; when all of a sudden our naturalist spotted a Crested Serpent Eagle perched on a low branch. 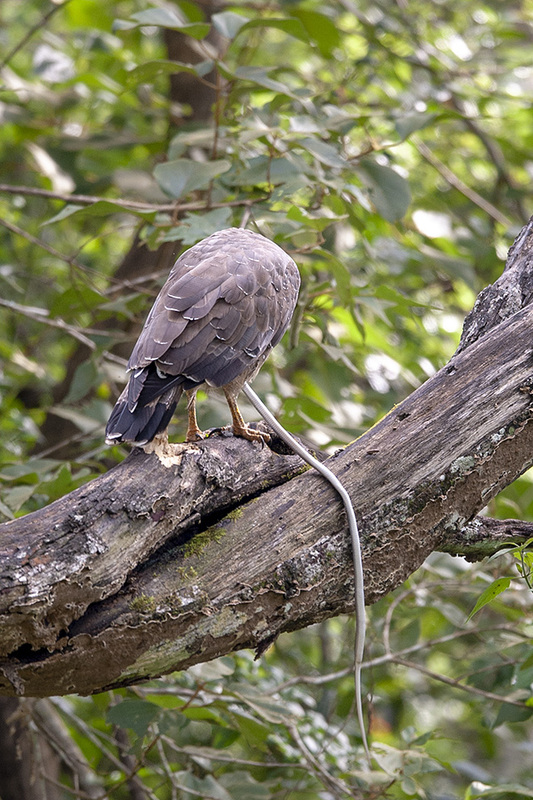 When we noticed the snake entangled in its talons, our excitement rose exponentially. We drove to the other side to get a better viewing angle on the raptor. 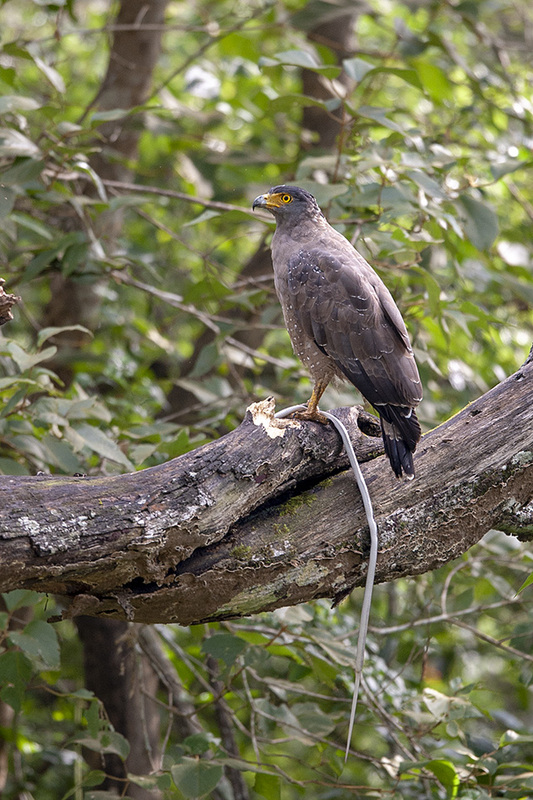 As we frantically took picture after picture, the snake suddenly wriggled and that’s when we realised that the Crested Serpent Eagle had just caught the snake (as seen in the feature image). 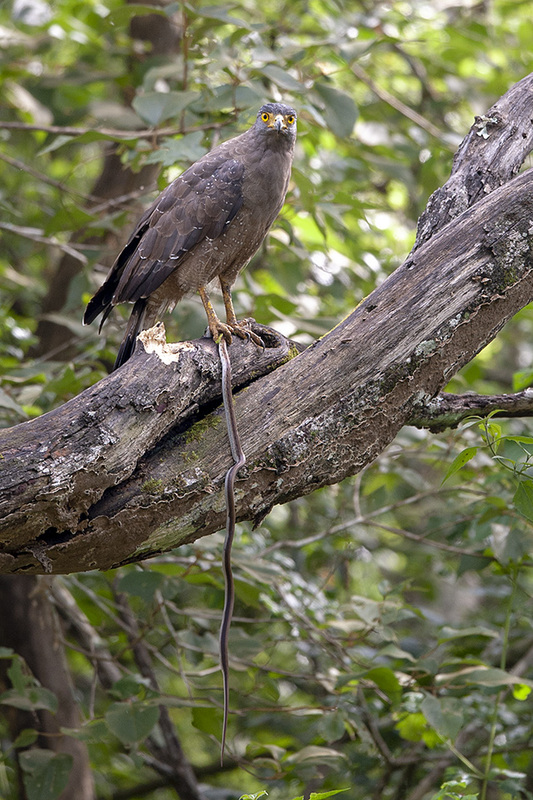 The raptor then turned away from us and delivered a deadly blow to the snake. 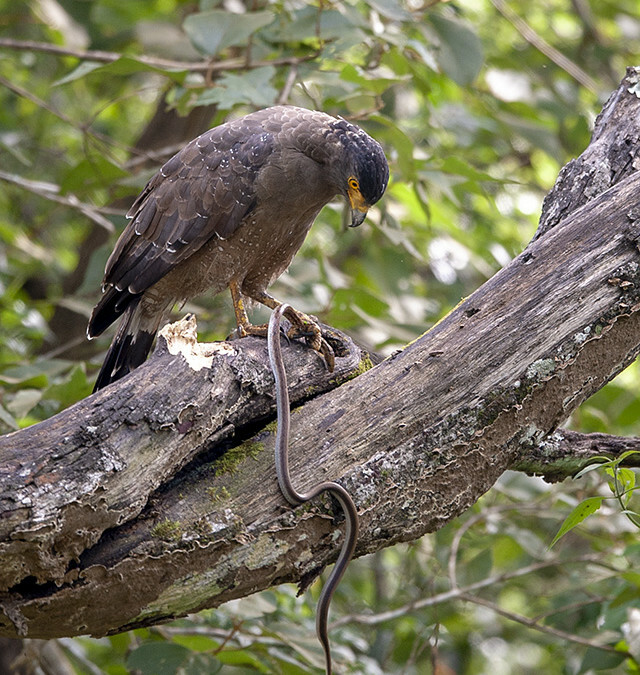 The Crested Serpent Eagle then sat patiently as though nothing had happened while it waited for the life to drain out of the dying snake. 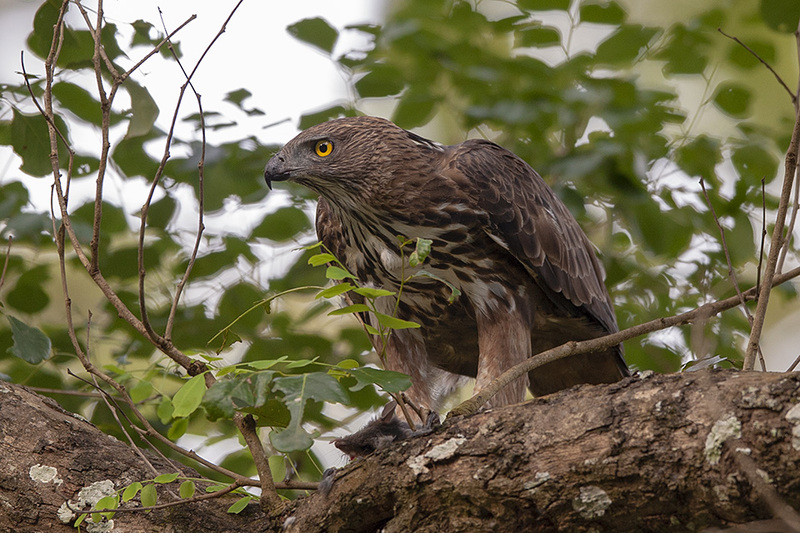 We moved on ahead further into Kabini only to be surprised once again by a Crested Hawk Eagle. This raptor seemed to have caught some kind of a mouse. Given the harsh light, we took a few record shots and moved on.